Indian Rare Earths Limited (IREL), a Public Sector Undertaking under the administrative control of Department of Atomic Energy (DAE) is engaged in beach sand mining and separation of heavy minerals viz. ilmenite, rutile, zircon, monazite, sillimanite and garnet in addition to value additions. IREL operates three mining and mineral separation plants at Chavara in Kollam district of Kerala State, Manavalakurchi (MK) in Kanyakumari district of Tamil Nadu State & Orissa Sands Complex (OSCOM) in Ganjam district of Orissa State. In addition, chemical processing of monazite is carried out at Rare Earths Division (RED) at Udyogamandal near Cochin in Kerala State, to produce thorium, rare earths chloride etc. along with tri-sodium phosphate. The mission of IREL is to be a major supplier of beach sand minerals and rare earths compounds in the domestic and international market as well as to produce value added materials of strategic importance with due regard to resource utilization, safety and environmental protection. Since IREL carries out mining operations, it comes under Mines Act 1952, Mines Rules 1955, Mines and Minerals (Development & Regulation) Act 1957, Metalliferous Mines Regulations 1961 etc. The minerals ilmenite, rutile, zircon and monazite – the last being radioactive are the final products after mining and mineral separation and classified as the ‘Atomic Minerals’ under MM (D&R), 1957 and “Prescribed Substances” under Atomic Energy Act 1962. The mining and mineral separation plants of IREL are under surveillance of Regulatory/Statutory authorities like Director General of Mines Safety (DGMS), Ministry of Labour, Government of India, State Pollution Control Board and Atomic Energy Regulatory Board (AERB) etc. AERB carries out routine inspections in all the establishments of IREL, which handle radioactive materials to ensure safety of men and machineries. 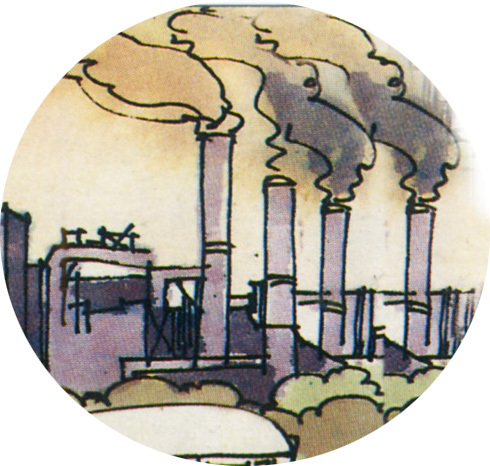 There is also active liaison with statutory authorities like Health Physics Division of BARC, Ministry of Environment and Forest (MoEF), Atomic Minerals Directorate for Exploration & Research (AMD), National Safety Council (NSC), Loss Prevention Association (LPA), National Environmental Engineering Research Institute (NEERI) for timely advise to improve standards of safety, health and environment in all the operating plants. All units of IREL are registered member of NSC & LPA. • Establish and maintain safe work environment with appropriate facilities, equipment, procedures and trained personnel to ensure health and safety of workers. • Identify, assess and control occupational, public health and environmental hazards arising from operations including handling, transport of raw materials and products. • Adopt an inter-disciplinary approach to land management making use of best available scientific information. • Comply with all applicable statutory provisions for the protection of health, safety and environment. These include relevant stipulations made by AERB, DGMS, Ministry of Environment and Forests (MoEF) and State Pollution Control Board. • Maintain appropriate organization set-up for safety at corporate office and unit level with adequate technical staff, equipment and facilities. • Conduct safety surveillance for accident prevention and occupational health programmes. • Evolve operating procedures, technical specifications and safety & environment manuals for compliance of different operating units. • Train/re-train employees periodically to suitably equip them to perform their duties in a safe and effective way. • Endeavour to support research related to the health and environmental effect of potentially toxic materials handled by the company. • Encourage commendable attitudes, safety performance of individuals/groups/units by a system of rewards. IREL has formulated a policy and proposes to update/review the Energy Conservation and Water Resource Management periodically taking into consideration its industrial experience, advances in technology and regulatory requirements. • Encourage suggestions and participation from employees/units for improvement in conservation of energy & water by a system of incentives/rewards. IREL has been in the business for past five decades and has a track record of maintaining healthy safety culture in all its operating plants. Safety Committees with representatives from workmen and officers are existing at shop-floor level and functioning in each plant under the chairmanship of Unit Head. All the plants are having dispensaries with qualified trained doctors available round the clock to meet the routine medical aid and emergency. Plant safety, environment, fire service and health physics sections are operating in all the plants to equip the plants with measures for accident prevention, fire protection, pollution control and radiation safety etc. The activities of these departments related to promotion of safety awareness, safety inspection and safety training. Safety committee meetings are regularly conducted every month to discuss various safety related issues. AERB conducts regulatory inspections at all the operating plants once a year to evaluate safety standards and advise for improvement. Internal Safety, Health & Environment audit is conducted in all the units to assess the standards of safety, health & environment by a team comprising of safety professionals from the units with an external expert. The committee recommendations pertaining to individual units are circulated to the concerned units for compliance. As per the Memorandum of Understanding (MoU) signed between IREL and DAE, a committee constituting two safety experts is invited to evaluate the safety, health & environment standards of units and finalize award of CMD Shields. The committee also awards the MoU score for overall performance of IREL in a scale of 1 to 5. Environment Management Cell exists in all the units comprising of the Section Heads. The members meet on quarterly basis and discuss matters in detail relating to environmental aspects such as various reports relating to health physics, pollution control etc. and takes decision to further improve the environmental protection measures. The Environmental Management Plan comprises of refilling of mined out areas, plantation/afforestation and maintenance of trees, ground water monitoring, industrial hygiene and eco-restoration. The survival rate of plantation is over 90% maintained by carrying out regular watering and manuring of the planted saplings in the back-filled mined out areas. A Nursery is set up to supply saplings required for afforestation. The ground water quality is monitored for key parameter viz. pH, TDS, hardness, Fluoride etc. on monthly and quarterly basis. Plantations for the last four years are shown as Table – 1. The liquid effluents are treated in the Effluent Treatment Plant (ETP) before discharge. The limits of discharge are well within the limit prescribed by State Pollution Control Board. The reports of gaseous emissions, liquid effluents and ground water monitoring etc. are sent to respective pollution control boards regularly. The solid wastes are disposed off in the back-filled area of mining and radioactive wastes in the earthern trenches as per the approved layout by AERB. Housekeeping is being carried out very systematically. There is specified area for keeping the scraps and these are disposed off periodically by auctioning. Painting of the structures and buildings are carried out systematically. The health physics laboratory is equipped with sophisticated equipment and qualified personnel for carrying out surveillance/monitoring activities in the plant. Persons working in the plant are provided with Thermo Luminescent Dosimeter (TLD) badges to monitor and control the radiation dose received by them. The dose received by individuals is limited well within the tolerance limits fixed by AERB and International Commission for Radiological Protection (ICRP). There has been no reporting of over exposure of employees at all the operating plants of IREL with concluding evidence of health hazards. All plants have Occupational Health Centres with adequate number of Certifying surgeons/Medical officers and supporting staff. Medical officers have been trained in occupational health at reputed institutes like All India Institute of Hygiene and Public Health, Calcutta and Central Labour Institute, Mumbai. Periodical medical examination of employees have been conducted as per Atomic Energy (Factories) Rules 1996, Radiation Protection Rules 1971, Atomic Energy (Working of Mines & Minerals) Rules 1984 and Metalliferous Mines Regulations, 1961 etc. All the radiation workers, canteen employees, Forklift operators for eye testing are medically examined once in year. 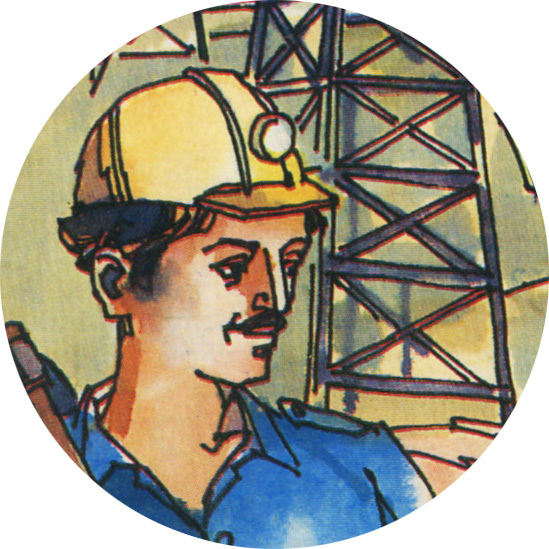 As per the Mines Act 1952, the periodical examinations are conducted for a minimum 20% of the total employees. The management of IREL is of the firm belief that creation of safe and healthy working conditions and protection of the environment around all its plant area is as important as production, quality and cost as well as other aspects of industrial and related activities. Prevention of hazards to its employees and population around all its plants starts with planning and is maintained by coordinated efforts by employees at all levels. Improvement in safety leads to increase productivity. Accident Free period directly involves in improvement in man-hours worked in the plant. The production of Ilmenite & Rutile and the Frequency Rate (F.R) achieved for the period from 1999 to 2002 is given in the Table – 3 below. Chairman & Managing Director and Head of the units have given priority to safety, results in success of Safety programme in IREL. The industrial safety activities depend on the co-operation among all level of employees and through the team efforts. IREL has made significant progress in the field of safety, health & environment continuously by improving the standards of safety, which is truly reflected in the awards received over the years. (With A. K. Das, General Manager (Safety & Environment), IREL.